1. 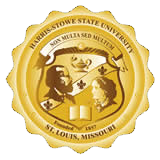 Financial Support for Professional Development Activities - Harris-Stowe State University provides $1000.00 annually to each full-time faculty members for professional development activities such as attendance at professional conferences, memberships in professional organizations and subscriptions to scholarly publications, attendance and participation in scholarly conferences from Title III funding. Each full-time faculty member will be allotted up to $500.00 during a fiscal year from the University’s General Fund. In Addition, each school or college is allotted up to $3000.00 during each fiscal year, dependent upon availability of funds. University Faculty members also have access to tuition support toward the completion of their terminal degrees. 2. Sabbatical Leave - Faculty are given sabbatical leaves to revitalize, explore scholarly interests and promote their competences as contributing scholars, teachers and practitioners. Faculty on sabbatical leave are temporarily detached from all other university responsibilities while on sabbatical. The University Rank and Tenure Committee is responsible for selecting up to one sabbatical leave per year from qualified applicants. 3. Faculty and Professional Staff Institute - This is designed to catalyze the adoption of up-to-date teaching, technology and other support practices for faculty and staff throughout the university. All new faculty participate working groups to support them maintaining high standards in teaching, research, and service. 4. Course Release - Course release time is a function of departmental administrative or other workload needs. A faculty member may be released from his/her normal teaching workload schedule, in part or in whole, to perform non-teaching duties. For the purpose of computing the workload, semester hour values will be assigned to each non-teaching assignment. 5. Faculty Noon Series Seminars - The culture of scholarship at HSSU places a premium on collaborative, interdisciplinary research. This seminar series are scheduled several times per semester during the academic year where faculty members present their research and share their expertise with the university community during an afternoon luncheon.